I am on the road tonight in Lansing Michigan gearing up for Purdue vs. Michigan St basketball, but I had to share some good news. 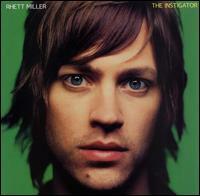 A live concert download is available from the frontman for the Old 97's, Rhett Miller. This 17 song solo set was recorded at "The Fez" and features special guest Ken Bethea. But that's not even the end of it! They are also offering an UNRELEASED 7 song studio recording of the groups side project "Ranchero Brothers" for a limited time. Grab it quick! This group has been making great music for quite some time and deserves a download. I intend to download this when I return home. I may update this post at a later time after I get to listen. Click the link below to navigate to the Old 97's media page for the download. Enjoy!